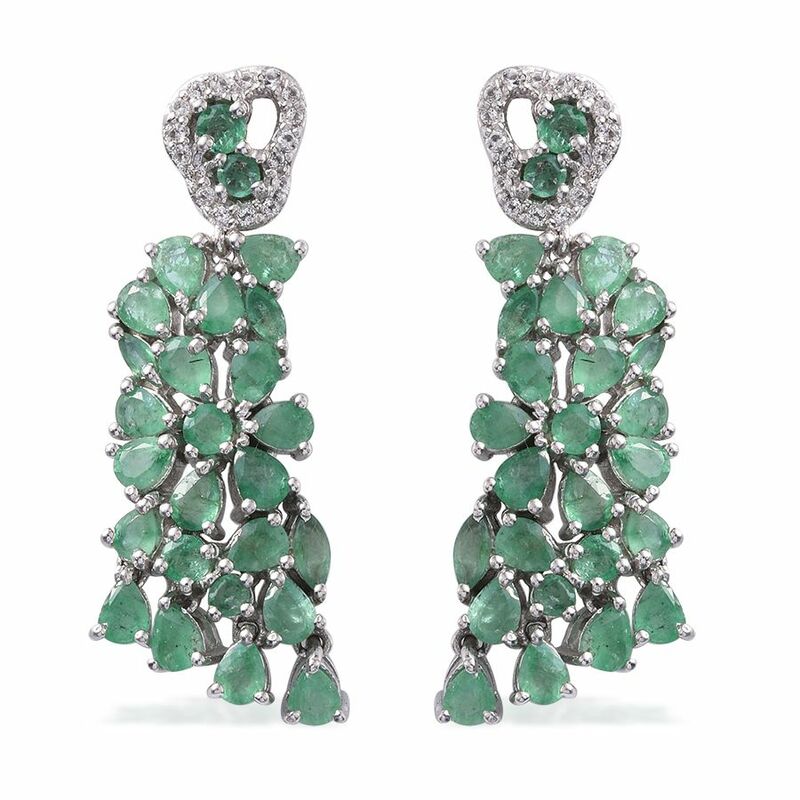 The lush verdant hues of emerald define the ideal green gemstone for many the world over. Among colored stones color is the defining quality that is looked for when determining value. With emeralds this is no different. After color the clarity of an emerald is its most defining characteristic. Though there is some debate among professionals it's accepted that emerald gemstones are green to greenish blue in color with a vivid saturation. Ideally they possess a medium to medium-dark hue. The most prized jewels are eye-clean though inclusions are expected within this stone. 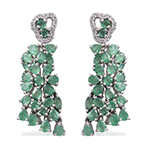 In fact the term jardin is used to help describe the inclusions found within emeralds specifically. The term is derived from the French word for "garden" on account of the mossy appearance these inclusions lend this lush stone. Some will suggest that emeralds might vary in appearance based on the location from which they were mined but there is plenty of similarity between different mines. If you were to guess that the most popular cut for an emerald gemstone is the emerald cut you wouldn't be wrong! These gems are difficult to cut due to the presence of fractures that occur within almost all emeralds making them more brittle than their ranking on the Mohs scale would suggest. The emerald cut also provides safe positions for prongs to cradle this gemstone as their sensitive corner edges are protected. Another feature of the cut is that it helps the emerald gemstone best display its color. Since seemingly minor alterations during the cutting process can severely affect the color of this gem this particular cut helps preserve the deep hue of color that's most valued in the stone. Besides the emerald cut oval and cabochon cuts are also immensely popular as they provide similar benefits. Despite this it is possible to find examples of emerald in nearly every popular fancy-cut today. Due to the nature of emeralds and their frequently included state it is not uncommon to find that these gems have been treated. It's a traditional and widely accepted practice within the gem trade. Oiling a gem was the most frequent treatment that emeralds would undergo. Cedar oil would be applied to the gem to help improve its clarity. It is also commonplace for a polymer agent to be applied to an emerald under low heat to help fill surface fractures and improve the stability and appearance of the stone. One of the most pursued and well-liked gems found on earth the captivating playful green color of Boyaca Colombian emerald along with high demand only serves to further its scarcity. 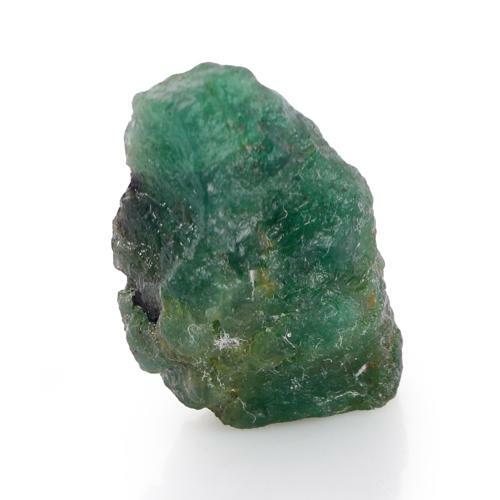 Kagem Zambian emerald is a highly popular green gemstone. This gorgeous deep green gem can pull higher values carat for carat than the highest quality white diamond. • Emerald is the traditional birthstone for the month of May and is also the gemstone associated with the astrological signs of Taurus and Gemini. • It was believed that placing an emerald under the tongue would allow one to glimpse the future. • The goddess Meenakshi is traditionally represented with an emerald idol. 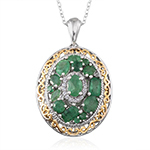 • Emerald gems were thought to protect the bearer against evil magic. • One of the four gemstones bestowed to King Solomon by God was the emerald. Possessing all four would allow one control over the entire world. 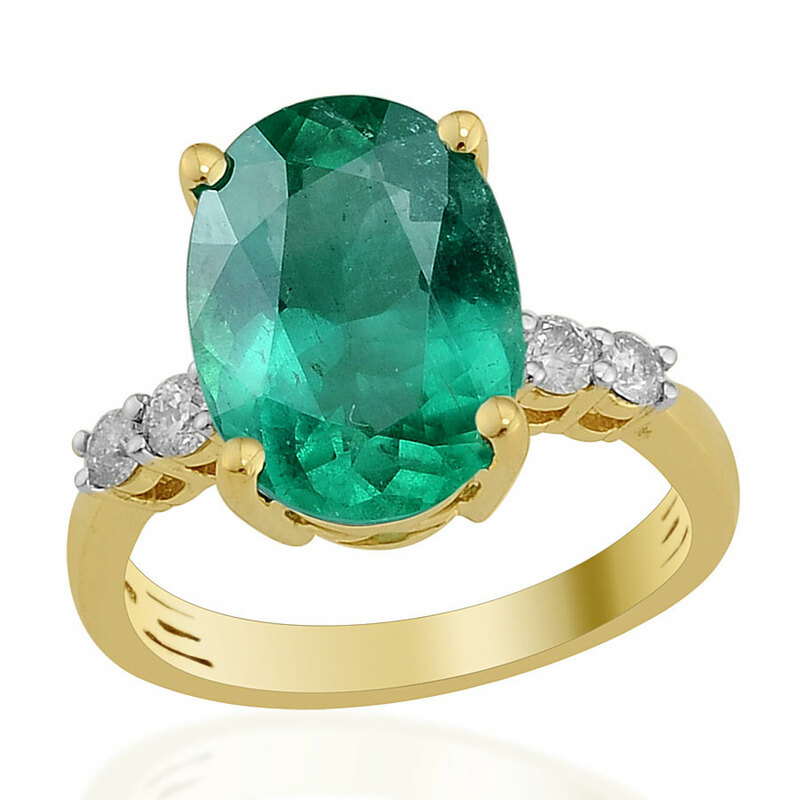 In the age of antiquity emeralds were first mined in Egypt. Other ancient locations where these gems were mined include India and Austria. 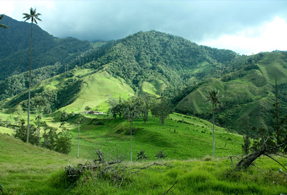 Emeralds were discovered in present-day Colombia during the Spanish invasion of the region. This carries through to the modern age as Colombia is one of the largest producers of emeralds today. Behind Colombia Zimbabwe is the second-largest producer of this stone. Besides these historical and modern locations emeralds have been found all around the globe with new deposits being prospected yearly. None has yet to rival the combined powerhouse of Colombian and Zambian production however. • Depending on the year Colombian emerald production accounted for 50-95% of the world's supply! • Cleopatra was a connoisseur of emerald and it featured heavily within her royal accouterments. • If a stone doesn't possess enough saturation of green color it cannot be called an emerald. It's only referred to as green beryl. 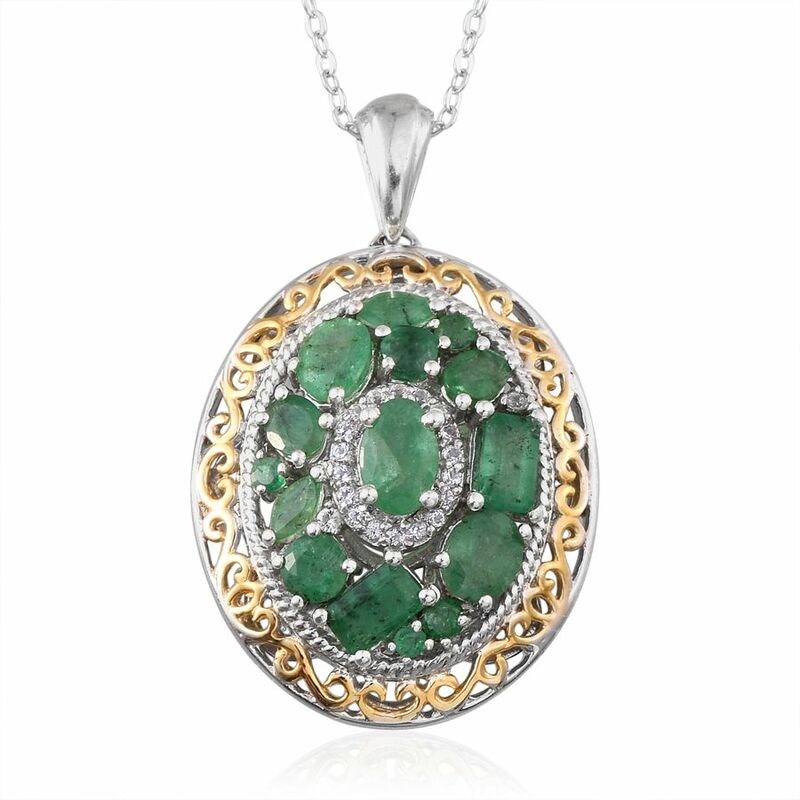 • Emerald derives its name from the Greek word for "green " smaragdus. • Pantone's Color of the Year for 2013 was Emerald. • Other members of the beryl group besides emerald include aquamarine and morganite. • One of the largest emeralds ever discovered is the Bahia Emerald weighing over 840 lbs. That's more than 180 000 carats!